Running a business is time consuming and some business people can't be bothered to get or keep receipts for "little" things. However, the parking fee on the way to meet a client, the "few" letters you mailed, the bag of coffee you picked up for the office - all these little things can really add up over the course of a year. Maximize your income tax deductions by collecting the receipts for all your purchases that are or may be business-related and recording and filing them appropriately. 2) Manage your RRSP and TFSA contributions. The Registered Retirement Savings Plan (RRSP) and Tax Free Savings Accounts (TFSA) are excellent Income Tax Deductions for Small Business Owners, particularly for sole proprietors or partners. Whether you should make the maximum RRSP contribution every year depends on how much your income fluctuates from year to year. The tax savings from an RRSP contribution are based on your marginal tax rate and since some or all of your allowable RRSP contribution can be carried forward into subsequent years you are better off saving RRSP contributions for years in which you expect a higher income. Note that if your small business is structured as a corporation the situation is more complex. RRSP contribution levels are based on earned income from salary, so if you choose to receive some or all of your income in the form of dividends this will reduce or eliminate your RRSP contribution. See Business Salary or Dividends - How Should You Pay Yourself? As the name implies, the TFSA allows you to shelter savings and investment income from taxes. Income and capital appreciation from stocks, bonds, or other interest bearing instruments is tax-free inside a TFSA. If you've maxed out your RRSP contributions and need a tax-free place to put cash or investments the TFSA is a good choice. Similarly, if your business has a non-capital loss (defined as when your expenses exceed your income for the business) in any year, consider when you can best use this loss to decrease your income tax bill before you use it. 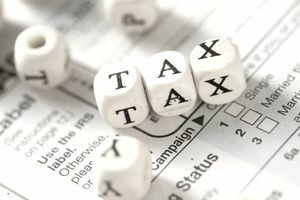 Non-capital losses can be used to offset other personal income in any given tax year, can be carried back three years, or carried forward for up to seven years. It may make more sense for you to carry your non-capital loss back to recover income tax you've already paid, or to carry it forward to offset a larger tax bill in the future than it does to use it in the tax year the capital loss occurred. See Claiming Expenses on a Business Loss on Canadian Taxes. Charitable donations to registered Canadian charities or other qualified donees earn you tax credits. But are you aware that charitable donations that total over $200 provide you with more of a tax credit because they're assessed at a higher rate? Most Canadian small business owners know that instead of just deducting the cost of whatever depreciable property they've acquired to use in their business in a particular year, they need to deduct the cost of the depreciable property over a period of years, through a Capital Cost Allowance claim. But many small business owners are not aware that they don't have to claim Capital Cost Allowance in the year that it occurs - a small business tax strategy that you can use to reduce your income tax. The CCA is not a mandatory tax deduction so you can use as much or as little of your CCA claim in a particular tax year as you wish; you can carry any unused portion forward to help offset a larger income tax bill in the future. It doesn't make sense for you to take your full Capital Cost Allowance claim deduction in a year that you have little or no taxable income. Another aspect of maximizing your Capital Cost Allowance claim is to buy (and sell) your assets at the right time. You want to buy new assets before the end of your fiscal year and sell old assets after the current fiscal year. Be aware, too, of the 50% rule; in the year that you acquire an asset, you usually can only claim 50% of the Capital Cost Allowance that you would normally be able to claim (and in some cases, the "available for use" rule means that you can't claim Capital Cost Allowance until the second tax year after you acquired an asset). Learn all about calculating and claiming Capital Cost Allowance. You may also wish to read How to Claim CCA on a Vehicle Bought for Business Use. This small business tax strategy lets you take full advantage of the marginal tax rate disparities. The higher your income, the higher your marginal tax rate in Canada. By transferring a portion of your income to a family member with a lower income, such as a spouse or child, you can reduce the marginal tax rate on your income. This is an especially powerful tax strategy for small business owners with children of post-secondary school age. Suppose that you employed your 19-year-old daughter in your business, paying her a salary totaling $10,000. Because of the basic personal income tax exemption, she would pay very little income tax, and would have a nice nest-egg to help pay for her education. (If you paid her an income equaling the personal income tax exemption, she would pay no tax at all!) And meanwhile, you've "lopped" $10,000 off your income for the year, decreasing the amount of income tax you personally owe. Read Income Splitting for Canadian Businesses to learn more. If you intend to employ a family member in your business, keep your claims reasonable and complete all the paperwork as you would when hiring any employee or contractor (have them properly invoice you for work performed). Hiring your wife/husband for thousands of dollars a month for a few hours of work answering the phone or filing is a sure way to attract the attention of the Canada Revenue Agency and get your claims rejected. Do you operate your business out of your home? If not, what's stopping you? While not every business is suitable for a home-based business, home-based businesses do have advantages when it comes to income tax. Besides the Business Use-Of-Home Deduction, home-based business owners can deduct a portion of many home-related expenses, such as heat, electricity, home maintenance, cleaning materials and home insurance. If you own your home, you can also deduct portions of your property tax and mortgage interest. 6 Home Based Business Tax Deductions You Don't Want to Miss will give you more information about these potential income tax deductions. One reason many sole proprietors and partners incorporate their businesses is because of the tax advantages of incorporation. The best known of these tax advantages is the Small Business Tax Deduction, whereby the income of qualifying Canadian-held corporations is taxed at a special "reduced" rate. For Canadian-controlled private corporations claiming the small business deduction, the corporate net tax rate is 10.5%. For other types of corporations, the corporate net tax rate is 15%. However, incorporating your business as a tax strategy will only be effective if your business has grown enough for incorporation to be worthwhile. You not only have to have a significant income already to offset the costs of incorporation but need to be prepared to leave enough of your business earnings in the corporation to benefit from corporate tax deferral. For instance, if you operate an incorporated business and the corporation's profits in a given year are $60,000, but you take $60,000 from the corporation in salary, your $60,000 is then taxed just as your personal (T1) income would be now, making incorporation for this reason pointless. Should You Incorporate Your Small Business? explains the general advantages and disadvantages of incorporation. While not all of these strategies will work for every small business, hopefully this list has gotten you thinking ​about tax planning. The amount of income tax you pay is not an absolute written in stone. There are legal, sometimes simple things you can do to decrease your income tax bill - small business tax strategies that you can start applying today.